Our expert offers his advice on how to avoid or deal with noise problems when you move to a new home. Is your new home more headache than haven? With the size and density of our urban centres increasing all the time and the competition for building plots in towns and rural locations on the up, we all need to come to terms with living in a more crowded environment. There are many social and practical advantages to living near to others, but there are some downsides too. 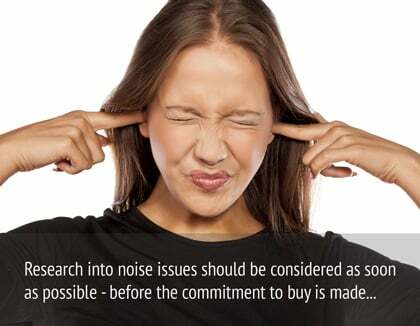 When buying or renting property, people are starting to think harder about noise issues that may affect them. After all the house-hunting, stress and expense, how must it feel to hear the first bark of the neighbour’s dog in the back garden or to be kept awake until the early hours on the first Friday night by a continuous stream of pedestrians on their way to a nightclub – or worse still, by the distant but persistent sound of the music from the nightclub itself? To avoid this situation, make sure you do your research about the local area before making an offer. For example, if you know you’ll be affected by the noise of a music venue, don’t move into a flat next door. If you are already suffering from problems at home there are a number of things that you should consider doing. The first recommendation is that you should approach the person or company who you think is the cause of the problem. It is always best to attempt a peaceful reconciliation before resorting to other measures, and surprisingly often, alerting the noise producer to the problem is all that is necessary. For example, in the case of neighbours, they could be unaware that a dog is barking excessively while they are out at work. Or if a business car park that backs onto your house is the chosen hang out for noisy car owners at night, the owner of the land may be willing to install measures to prevent public access. Even if your approach is not greeted warmly, it is good to have it on record if you decide to take things further. If you feel that the problem is likely to persist and you intend to take things further, the first thing to do is to keep an accurate diary of events. You should record the occasions that the noise occurs as well as any steps you have taken to remedy matters. For most people, The Environmental Health Department of the local council will be the first port of call to start to get the matter addressed. The department will have a procedure in place and guidance to help you to voice your concerns. Sometimes, the department may be under-resourced and you may reach the conclusion that there is some complacency about your complaint. If this happens you should refer to the published guidelines explaining the department’s obligations, response times and expectations. You may find that you need to be reasonably forthright in making your case and be prepared to back it up with your own research to get things done, but this is a matter for careful judgement. Unfortunately, if the Environmental Health department do not uphold your case or the noise persists in spite of their attempts to curb it, you may feel the desire to pursue the claim through the law. This course of action should not be entered into lightly as it will certainly take a long time and will come only at a significant cost. However, you should be able to get a free provisional meeting with a solicitor to give you an indication as to whether you have a case worth pursuing. The subject of noise is often considered to be too subjective to be included in the standard set of solicitor-purchased property searches or at any other stage of the buying process. So how can you approach this subject when you are considering a house purchase or lease? What can you do to protect yourself against the possibility of exposing yourself to these noisy frustrations? For many, a major cause of noise nuisance is transport. Start by looking at a map on the internet and see where the nearest railway line or station is; work out whether there are any bus or coach stations or freight depots on your road that will lead to an increased density of heavy and noisy traffic. Again, don’t forget that a viewing on a Saturday, or during the middle of the day, may present an unrealistic indication of the typical road usage at other times of the week – so come back at rush hour to get a more realistic take on the situation. Also, keep an eye out for bus stops that you might not have spotted on earlier viewings, or consult the timetable to get a feel for the frequency of the service. Think about the area you are moving into and understand the location in relation to particularly noisy business such as night clubs, factories or late night take-aways. Also consider intermittent events and activities that might only take place weekly or seasonally. In the first instance, it is important to view the property at various times of the day and the week and make sure that you have a good look around the neighbourhood. Try to see your immediate neighbours and understand their lifestyle. You can learn a lot from simply knowing the number of people living in the house next door and their ages. Look at the local authority website and consider any large scale planning applications that may have been given permission near to the house. Consider the short term disruption as well as the impact that the final project will have on your property enjoyment: be it positive or negative. Planning data is also available commercially, at very reasonable cost, if you don’t have the time or facility to make your own enquiries. 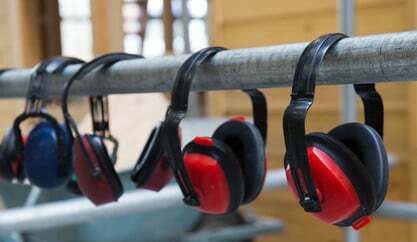 If you are in a rural location, you may feel you can expect a higher level of noise protection than some urban dwellers. However, there are different noise sources that will need investigating in a remote location, such as mining and quarrying, aircraft movements, recreational motor sports, animals and agricultural practices and even wedding venues or church bells. There are resources available both online and through council and local resources that you can use to research any potential problems before you commit to the purchase. With thanks to Magnus Willatts, Noise Info. Noise Info provides address specific products and data to help identify sources of noise at your property and investigate into the neighbourhood. 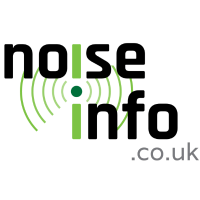 Visit www.noiseinfo.co.uk for further information. Should I disclose noise problem when selling my flat?